For seven weeks every summer, poker players from across the planet gather in Las Vegas, Nevada to compete in the game’s most prestigious tournament series: The World Series of Poker (WSOP). With the recent release of the full 2016 WSOP schedule – consisting of 69 bracelet events spanning May 31st through July 18th at the Rio All-Suite Hotel and Casino – the poker community is abuzz with anticipation. 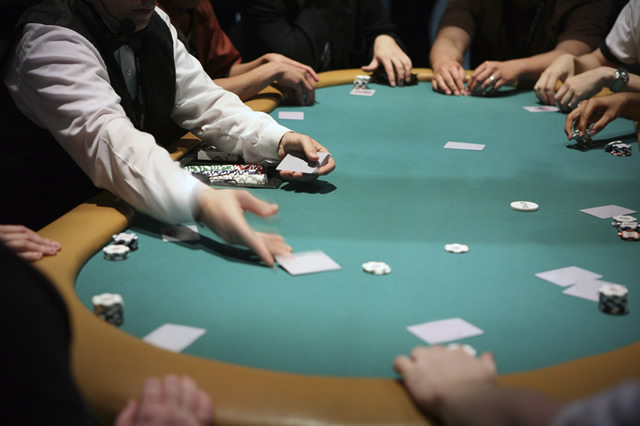 As recreational players and pros alike begin planning their itineraries, booking reservations and building a bankroll ahead of the grueling WSOP grind, poker prognosticators have also started looking ahead, offering an assortment of expectations and forecasts. The addition of fantasy poker drafts to the industry landscape, in which players, fans, and media members select teams for a fantasy sports styled competition, has put a premium on prediction. Because success in tournament play is such a volatile concept, even the world’s top pros can swing and miss for an entire summer, while previously unknown players announce their presence to the world. This makes the guessing game which precedes every WSOP as good of a thing to gamble on as anything else, and the action-seeking poker community largely agrees. The players profiled below should be considered top prospects for a deep run at the 2016 WSOP. Running hot over a long stretch in the preceding months, defending a bracelet earned last year, or preparing for their first experience on poker’s premier stage; these players are primed for a successful summer. Not yet 21 years of age (he’ll get there in May right before the series starts), Polish poker prodigy Dzmitry Urbanovich has put together one of the most impressive pre-WSOP runs in recent memory. In March of 2015, at the European Poker Tour (EPT) stop in Malta, Urbanovich managed to cash in six events over 10 days. More impressively, four of those cashes were outright victories, while the other two represented runner-up and eighth place finishes. One of the wins came in the €25,500 High-Roller no-limit hold’em tournament, netting Urbanovich €572,300 in winnings. The following month Urbanovich was at it again, placing second in the €100,000 Super High-Roller event at the EPT Monte Carlo for a €1,446,600 score. In August of 2015, another second-place result, this time in the €50,000 Super High-Roller eight-handed event, produced €841,500 in positive momentum. Continuing to accumulate cashes in elite EPT events, including six final table appearances during the duration of 2015, Urbanovich proved to the poker world that his performance in Malta was no fluke. 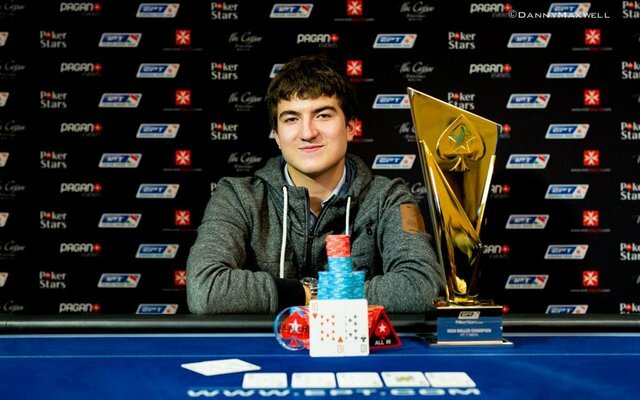 In February of this year Urbanovich added yet another EPT title to his trophy case, defeating 604 opponents to take down the €5,300 Main Event in Dublin, and adding €561,900 to his burgeoning bankroll in the process. As the latest in a long line of young European superstars to set the tournament circuit on fire, Urbanovich will make his WSOP debut this summer, hoping to follow in the footsteps of fellow pros Fedor Holz and Ole Schemion. Considering his stellar results over the previous year plus – which include seven first-place finishes and five runner-up results since 2015 began – the Polish phenom should have no trouble adapting his game. Having learned how to play poker by studying all of the games and variants early in his development, Urbanovich is now a mixed-games specialist, making him an even bigger threat to navigate the smaller fields in formats like razz and triple-draw lowball. Blessed with an extremely deep bankroll thanks to his incredible string of deep runs, Urbanovich is likely to play a full slate of events in search of his first WSOP bracelet, making him a good bet to enjoy a deep run or two along the way. Last summer Pennsylvania native Joe McKeehen appeared to most audiences as a Cinderella story, an aspiring poker pro who enjoyed the run of a lifetime en route to winning the WSOP Main Event and becoming poker’s World Champion. After emerging from an astoundingly large field of 6,420 players to reach the life-changing Main Event final table, McKeehen promptly put on a clinic on his way to winning $7.68 million. 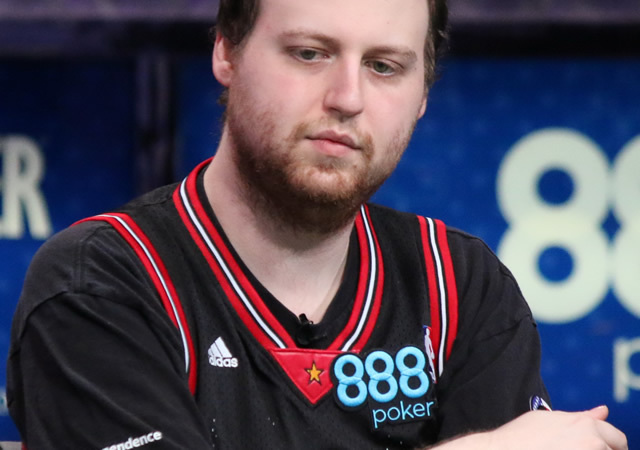 Wearing his signature Philadelphia sports jerseys with an 888 Poker promo code patch, McKeehen ran above expectation during the televised portions of the week-long tournament, flopping more than his fair share of sets and usually putting his opponents in a dominated preflop position. Most viewers who watched McKeehen dominate the field, claiming the stack of poker superstar Daniel Negreanu along the way, believed him to be just another of a lucky few who happened to have cashed in their “one-time” by winning poker’s most important tournament. But McKeehen is no Robert Varkonyi or Jamie Gold, and unlike those one-hit wonders, this young pro was winning poker tournaments long before he ever played a hand at the WSOP. With no less than 10 victories to his credit between 2012 and his first WSOP tour in the summer of 2014, McKeehen was already a proven winner years ago. In 2014 nearly won his first bracelet, finishing second in the Monster Stack event and earning nearly $1 million, before McKeehen’s ultimate moment of glory occurred in the Main Event one year later. Since becoming poker’s World Champion, McKeehen hasn’t let up one bit. After winning a $1,500 event at the Wynn in October of 2015, he placed second in the EPT’s PCA $100,000 Super High-Roller in January, taking home $1,220,840 for the near miss. That same month, McKeehen final tabled the WPT $3,500 Main Event at the Borgata, his home casino in Atlantic City, New Jersey, where he placed fourth for another $249,267 payday. He returned to the winner’s circle in March, taking down the WPT $25,000 High-Roller event at the Bay 101 stop for $156,966 in earnings. One of the most consistent winners in no-limit hold’em tournament play during the last few years, McKeehen’s status as defending Main Event champion should be all the motivation he needs to pursue his second gold bracelet. With a few deep runs or final table appearances McKeehen can cement his status as one of poker’s true talents, and he’ll surely be playing an expanded schedule of events this time around. Other players with a hot hand that you should watch for during the bracelet chase this summer include Italian sensation and high-roller specialist Mustapha Kanit, bracelet-winner and three-time WPT champion Anthony Zinno, the Global Poker Index top-ranked player Steve O’Dwyer, and, as always, 14-time WSOP bracelet winner Phil Hellmuth.